The Compact Memory project has digitized 118 German-language Jewish periodicals, from Sulamith (1806-1843) to Central Verein-Zeitung (1922-1938) and Jüdische Welt-Rundschau (1939-1940). This amazing collection, financed by the Deutsche Forschungsgemeinschaft (DFG), offers a wealth of material for scholars of German-Jewish history. The conference ‘Siegkatholiken’, Kulturpessimisten, ‘Gegenintellektuelle’? Katholische Kultur- und Zeitkritik in der Zwischenkriegszeitaims for a revaluation of Catholic intellectuals of the interwar years beyond cultural pessimism. One-page abstracts of 20-30-minute talks should be sent to the organisers until 15 March 2013. The exhibition Berlin Transit on Jewish migrants from Eastern Europe in the 1920s at the Jüdisches Museum is (sadly) over already, but its website is still a great resource. 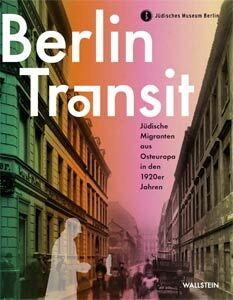 Among other things, it offers a virtual tour of important places of Jewish life in 1920s Berlin. A new approach to Weimar? Posted on July 11, 2012 | Comments Off on A new approach to Weimar? Comments Off on A new approach to Weimar? Derek Hastings’ Catholicism and the Roots of Nazism illuminates an important and largely overlooked aspect of early Nazi history, going back to the years after World War I–when National Socialism first emerged–to reveal its close early ties with Catholicism. Although an antagonistic relationship between the Catholic Church and Hitler’s regime developed later during the Third Reich, the early Nazi movement was born in Munich, a city whose population was overwhelmingly Catholic. Focusing on Munich and the surrounding area, Hastings shows how Catholics played a central and hitherto overlooked role in the Nazi movement before the 1923 Beerhall Putsch. He examines the activism of individual Catholic writers, university students, and priests and the striking Catholic-oriented appeals and imagery formulated by the movement. He then discusses why the Nazis embarked on a different path following the party’s reconstitution in early 1925, ultimately taking on an increasingly anti-Catholic and anti-Christian identity.